A village sits empty. The scattered remnants of life strewn over street corners and across the cluttered, quiet counters of kitchens. What happened? What’s left in the wake of such a catastrophic incident? These are the questions you’ll attempt to answer in Everybody’s Gone to the Rapture, which is out this week on PS4. Everybody’s Gone to the Rapture tells a haunting, beautiful narrative in the aftermath of the apocalypse. Players will explore the empty setting of a small village in Britain and piece together the stories and final hours of the people that lived there. Developed by the team at The Chinese Room (Dear Esther, Amnesia: A Machine for Pigs), Rapture is a game of many emotions and many snapshots of the past. For a deeply reflective, intriguing journey, look no further than this first-person mystery. 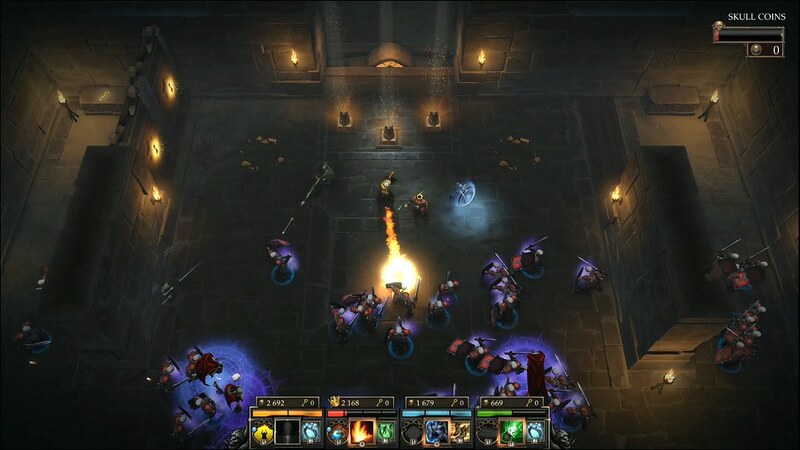 For those craving dangerous dungeons and crackling spells, Gauntlet: Slayer Edition is also out this week on PS4. Completely retuned from the original version, the Slayer Edition has upgraded abilities, redesigned enemies, and even a new game mode for a near-endless challenge. Widely considered to be one of the bleakest experiences in indie gaming, Actual Sunlight challenges you to confront the life of Evan Winter: An overweight, lonely, and severely depressed young professional. Presented almost entirely in text, a mixture of sharp observation and pitch black humor captures your interest from provocative beginning to shattering conclusion. Experience the world’s one and only Yoga-Action-Platformer. Commander Cherry’s Puzzled Journey is a hybrid-motion control game. The game flow offers a hypnotizing cycle of tension and relaxation. Build Platforms with your body. Everybody’s Gone to the Rapture tells the story of the inhabitants of a remote English valley who are caught up in world-shattering events beyond their control or understanding. Made by The Chinese Room — the studio responsible for the hauntingly beautiful Dear Esther — this tale of how people respond in the face of grave adversity is a non-linear, open-world experience. Invade the darkness with the new Gauntlet: Slayer Edition! Fight with your friends through the monstrous hordes lurking in a myriad of unique dungeons as you scour them for gold with new hero weapons, abilities, and customizations. As seen in the motion picture! A brand new HT-2000 cartridge game packed with arcade style beat ’em up Nazi fights, stereo sound music inspired by up ‘n’ coming hit artist David Hasselhoff, state of the art true color graphics, and even more Nazi enemies to beat. You are the Prototype, Alex Mercer, a man without memory armed with amazing shape-shifting abilities, hunting your way to the heart of the conspiracy which created you and making those responsible pay. Prototype 2 takes the unsurpassed carnage of the original Prototype and continues the experience of becoming the ultimate shape-shifting weapon. A devastating viral outbreak has claimed the lives of Sgt James Heller’s family and transformed him into a Prototype. The legendary Space Hulk returns in this epic turn based strategy game. Set in the Warhammer 40,000 universe, an intriguing story of legendary battles and heroic actions unfolds. Play as a small squad of fearless Space Marine Terminators who attempt to reclaim their honor by mounting an assault on a derelict space hulk infested by hordes of vicious tyranid Genestealers. Torque up! Hat on! Roll, tumble, and extend to get over magma, high walls, and myriad other obstacles in this puzzle game. TorqueL is a unique 2D ‘rolling’ & ‘extend’ platformer/action/puzzle game. Including a total of 50 chambers, and 7 basic routes. Toy Soldiers: War Chest is a fast-paced genre-bending mix of strategy defense and action gameplay that brings to life the iconic toys and action figures from your childhood. Lead He-Man, G.I. Joe, and other toy armies into legendary battles and protect your toy box from increasingly devious and powerful foes. 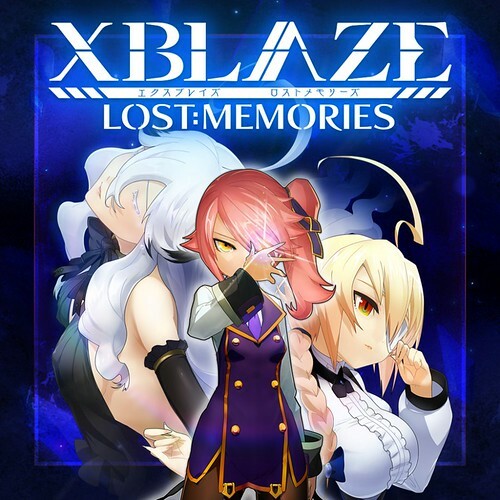 XBlaze Lost: Memories is a visual-novel game based in the BlazBlue universe and the sequel to XBlaze Code: Embryo. Play as the enigmatic pink-haired protagonist as she navigates through a weird and wondrous alternate reality with the help of the mysterious Nobody in order to save her sister, who disappeared into this unknown world! LEGO: DC Super Heroes: Justice League: Attack of the Legion of Doom! Happy Sunday! What do you think of the new format? I really think you need a picture for each game, otherwise it appears as though certain games are prioritized, when it’s probably just likely that you only have assets available for those ones. Every game needs a picture. ( They should all have little gameplay videos, but I know that won’t happen.) I don’t understand how or why you wouldn’t have access AT LEAST to a stinkin picture of each game. That excuse honestly seems like you put this post together Sunday morning with zero preparation. If you can’t get a photo for all games, don’t put any. It makes it look messy and unorganized. Prices. Stop being terarded about prices. Just stop already. I like how you put the details of the game very generously but the format need alot more bling to it. Pictures Or even trailers will be the best. To be honest the format before is fine. No need to change it. And to the dude above me. Read the open comment rules before you type in your stuff. I think you missed the words in blue. That font looks like Times New Roman, doesn’t seem as hip anymore. Would be nice if you could color code the font of PS4, PS3 & PSVita as well, would make for a more dynamic look. Probably integrate metacritic scores next to pre-released games as well would be a good idea. One last thing; seeing that this is the US blog, and all games are for the US store, why not include the price? I tried thinking of reasons why it hasn’t been implemented yet but I’m drawing a blank. Just some food for thought. I think it’s improved in some ways, but I agree that accompanying screenshots at the very least would make it so much better. Many games mentioned in The Drop (not just this week) are small titles that we had never heard of before. A screenshot or a video is not only helpful for the readers, but it’s very helpful for those who are looking to turn a profit from the games. Personally, if it’s some obscure title I’ve never heard of and has an obscure description and not even a screenshot to go with it, I won’t give it a second thought. I don’t want to have to seek information somewhere else, when it could be shared here. So, I think a barebones format hurts everyone. Also, why hasn’t yowzagabowza been banned yet? People disagree, people complain.. that’s life. But yowza and some others come here only to make a negative scene and insult others. I know you have seen it and I’m sure you notice it every week. It’s really toxic to allow such notorious people to remain here. We know, every single week, that we are going to see him and that he will be complaining and acting a jerk to someone (usually to you). Why Brothers isn’t Cross Buy? Apologies, I don’t have an answer for that question! Any chance Lightning Returns: Final Fantasy XIII will come to PlayStation Now? Would really love it on PS4. Been saying the same thing bro! When will I be able to pre-load Everybody’s Gone to the Rapture? It should’ve already started.. Mine started yesterday. Thanks for the note, American! I agree imagery is nice, but I’m often not able to pull down official assets for every game, so I’ve opted to highlight games of particular interest (or at the very least, games that I have access to screenshots). Did the Vita version of Space Hulk get cancelled or is it just another split release? I don’t have any details on that, sorry Generic! Everybody’s Gone to the Rapture and Gauntlet are preordered, and i think i will finally try Goat Simulator. And i’m kind of intrigued by Actual Sunlight, so i may check that out. And Kung Fury! Best thing ever. Great week for games! Yeah, I’ve been hearing deeply intriguing things about Actual Sunlight. Need to check that out for sure. The new format is BEYOND! awesome. Can’t wait for Everybody’s Gone to the Rapture. Haha! Thank my colleague Justin for designing it. ;) Beyond! The new format looks good Ryan. However, I would suggest you use the logos for PlayStation Music and PlayStation Video. Yes, we’re looking at spicing that section up more in the future! Thanks. After years of waiting I’m finally going to Rapture this week! Thanks for the Drop Ryan! Thanks for coming by, Mercenary! Always nice to see you. Serif fonts really don’t suit Playstation. Well Brothers: Tales of Two Soul, be like Journey for the PS4? Like, if you have already brought the PS3 version, will you get the PS4 version for free? Actual Sunlight is gonna be mine. Ry-Dog, while I appreciate your passion, if you keep posting your feedback in the form of spam, you won’t have a place on these comment threads. Please be more respectful in the way you engage with the team. You ask for too many games. Should have kept to top 3 wanted, not make endless lists. Although there was this one poster who kept begging for Disagea sale and finally got it. I occasionally beg for San Andreas HD, Okami HD and Shadow of Collossus HD for Vita, but nobody listens. I stopped asking. Maybe you should too. Clements, where does someone like Ry-Dog keep posting this type or form of feedback? That or do you have a different format or suggestions for posting this type of thing that will not be considered spam? I appreciate giving users a warning but how about also giving them an alternative format or rules or another place to vent for these types of posts. I guess Ry-Dog could try contacting each of original PSone distributors, programmers, etc., if they are still around on their own sites / twitter / facebook / etc., if they still exist. Thank you, Ryan. This person is out of control and no one is going to read all of that. It’s about time someone shunned this guy. It has been extremely annoying to see this on every single weekly list for months and months on end. Ry-Dog, either contact these companies or please do not write again, because you are the only one to blame if Clements takes away your spamming privileges. I’m SO excited for Toy Soldiers: War Chest! YES!! Hey Ryan, on this new layout, would it be possible to state the genre of each game? I don’t mind not seeing the pictures, but there are certain games that I would not care to look up like turn based games (I know I’m sorry :/). Hey there, Goods! Thanks for the feedback. I like that idea, except “genre” is getting increasingly harder to define as more games fuse different play philosophies together. I’d fear that it would be hard to classify some of these games, which is why a full description is usually more telling. Thank you for including descriptions again, this is much better. Another great week with Gauntlet and Everybody’s Gone to the Rapture… and others for everyone else. Hope to see Resonance of Fate and 3D Dot Game Heroes on PSNow soon. RoF made it in the top PS3 games last month. Speaking of which, I hope to also see a post of top PSNow rentals every week or month, I think it would be really great. Kung Fury is actually making it to consoles? I love the game on Android but unless they changed the gameplay, it wouldn’t work well for a console release. This post gets 5 stars due to the way better layout now. Looks neat and clean and organized. Keep It That way. Ryan do you know when PS4 will get PS1 and PS2 classics ? also could you pass this message to Sony that we should be able to play our owned PS3 games for free on PS Now. Where is Star Ocean masterpieces in PSN!??? I d like them on my PS vita, PS3!!! Sony, Please, make it happen! Are there any plans for the PS3 version of Tomb Raider (2013) on Playstation Now? Agreed! Sony should be enforcing some minimum standards to have your game sold in their store. Not a fan of the font used. Seems very generic and boring. I live in the country where my internet isn’t very stable. On most days I have to deal with buffering issues. My question is, if I buy Mad Max from PS Video is it being streamed to my PS4?, or does it download to the hard drive? I’m worried about video quality. you can ONLY STREAM on ps4. It’s a stupid, stupid decision which has caused me to never rent or buy ANY movies ever again. I’ll be playing Gauntlet for sure. Possibly a few of the others as well. Too many games to choose from. I suppose that shouldn’t be considered a problem. Why live gives so little time for gaming? and why some games take up so much time? wow PS4 is the new Ouya console, %90 of PS4 library is indie games, PS4 is becoming a cell phone. Not really, my cellphone plays Ps1/Ps2 games. Axiom Verge is available on PS4. Much better format. It actually loads right for me now. Could use some pictures though. The descriptions are a nice touch but pics would be all the more helpful. Probably gonna pick up Goat Simulator this week. Hope it’s decently priced. Love the new layout Ryan. 2) make the name of the game a clickable link which would take you to all the info the blog has about the game, or if not the blog make it a link that sends you to the developers website so we could get more info on it. I know its a little more work for you but would be so helpful to a lot of people in the community get more info about the game. Again tho these are suggestions and im not sure if your the only one that works on The Drop so it might just be too much work. A fast paced FPS with an engrossing storyline written by cult Scottish author Christopher Brookmyre. You play Heather Quinn aka “Athena” trapped in a world of video games, desperate to find a way back home. Will you make it? Or will you be trapped here forever? Here’s where you find out.. I think that it should be mandatory for all developers to provide Sony with high definition screenshots and high definition videos of their games – these should be available on the blog and the PSN store when accessed from the PS4. As to the PSN store itself, why is the current video quality so low for the games that do include videos? Any way to tell when new Playstation Classics are coming out? Rapture, Gauntlet and Toy Soldiers for me this week. Interested in Actual Sunlight and Commander Cherry as well, but I might have to hold off for now. Oh, also I like the new format! But I do agree with others that there should be at least a screenshot or trailer for each game. I do not like the new look. Very generic and boring. Every game should at minimum have a screenshot and a link to the PlayStation store. In exceptional situations, a trailer. Also the few screenshots you have seem misplaced. Should be game name then description and picture. As it sites now, the Gauntlet screenshot looks like it belongs to Everybody’s Gone to Rapture. My opinion for what its worth…. We can’t get enough Vita titles every month. It’s like if the release pipe is constipated or… something. even worse is when the list of future releases for Vita games are marred with TBA titles. Got Gauntlet pre-loaded. Can’t wait for Toy Soldiers. Love the new format, and i agree you need a screenshot or two for each game.